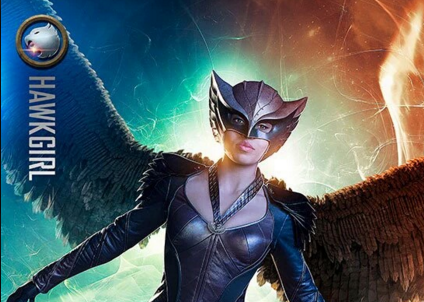 Hawkgirl spreads her wings when DC’s Legends of Tomorrow premieres Thursday, January 21 at 8/7c on The CW. It's Ciara Renee's turn to get the personlized promo treatment in this new video introducing Kendra Saunders aka Hawkgirl as "warrior...immortal...princess...goddess...hero...legend" for CW's superhero spin-off 'Legends of Tomorrow.' This follows a promo for Falk Hentschel's Hawkman character. Renee and Hentschel play reincarnated lovers who are recruited by time traveler Rip Hunter (Arthur Darvill) to join forces with other heroes and villains to fight off an immortal threat in Vandal Savage (Casper Crump). 'Legends of Tomorrow' premieres Thursday, January 21 and stars Caity Lotz as White Canary, Brandon Routh as the Atom, Wentworth Miller as Leonard Snart/Captain Cold, Dominic Purcell as Mick Rory/Heat Wave, Victor Garber as Professor Martin Stein (one-half of Firestorm), and Franz Drameh as Jefferson "Jax" Jackson (the other half of Firestorm).